Eva Kaili is a member of the European Parliament for the Socialist and Democrat group and chair of the Parliament’s Science and Technology Options Assessment. 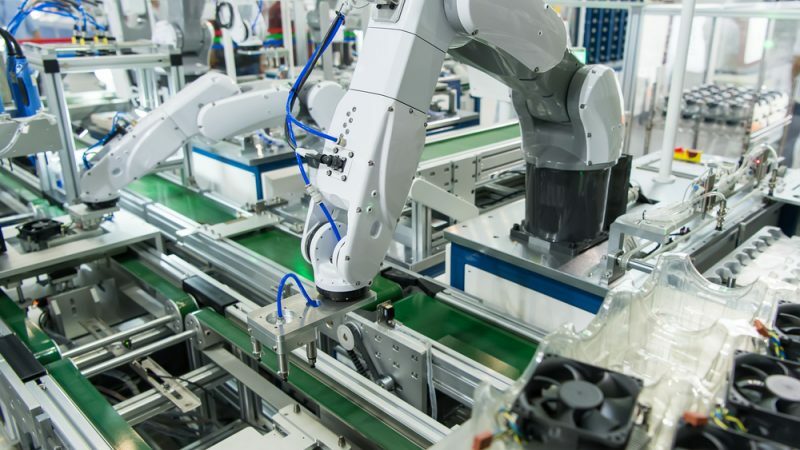 The future landscape of work in Europe will undoubtedly include a significant increase in robotics technologies – and this could bring major benefits if the right policies are in place to ensure people have the best skills to thrive in Europe’s new world of work. As the Chair of the European Parliament’s Science and Technology Options Assessment (STOA) I see every day how robotics and artificial intelligence (AI) can be implemented across sectors, from farming to space, and how they are transforming our daily lives, from the simple (such as turning on the lights in our houses) to the more complex (preventing diseases in the health sector and creating new materials for us to wear). STOA fully expects that in 10 to 20 years jobs will have been created which we cannot even imagine. To reap the full benefits of these technologies, we need to prepare children and the legislative landscape for the future. One of the main challenges is ensuring people have the digital skills needed to realise, understand, and work with new technologies. People need to be reassured that robots are there to complement what we do and not take over and they need to have the tools to navigate this new world. So how can we create this landscape where people are thriving with new technologies? First, when developing robotics technologies further (and I see so many more today), we must focus on the applications that really help people live better lives and be cautious of the less-impactful categories, applications and possibilities of robotics. Second, we need to ensure that legislators properly understand the technology and the impact it will have. As the rapporteur for my party on the ongoing AI files, I can already see where this understanding is being translated into action and into working together to find a solution, such as how to attribute responsibility should an accident occur. Moving forward, legislators and industry must come together to create an environment where technology can thrive and benefit all, rather than restrict progress. Finally, it’s important that addressing these critical ethical decisions always involves sufficient data and non-biased thinking. We cannot be certain that humans will always be less biased than AI and moving forward, the ethical and legal framework for AI and robotics in Europe must be aligned to our own values. These values (which may be different from other values around the world) include a right to respect individual privacy, human life, quality of life and trust, among others. These are human rights that we have to protect. We must guide industry and policy to consider these ethical rules when developing technologies. If we do these three things we can make great strides in providing the best possible environment for people across Europe to flourish in an increasingly robotic workforce.